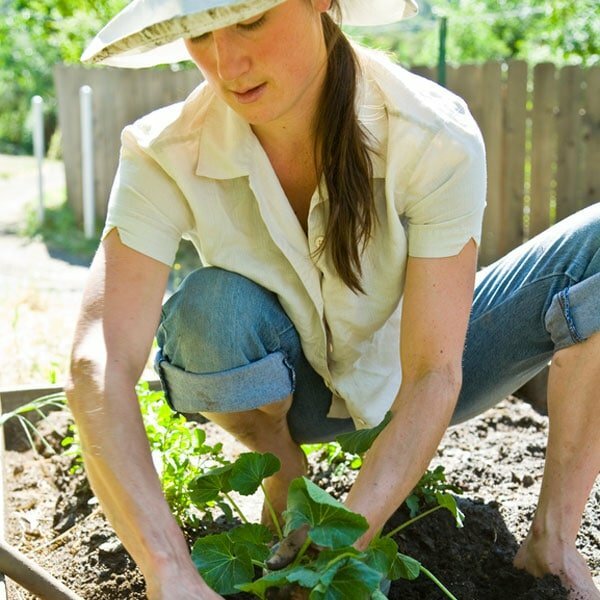 Spring is an exciting time for organic gardeners. It’s the time when we can survey our bare garden plot, spade in hand and say, “From this ground will spring multitudes!” (We’re easily excitable.) Of course, spring also means a lot of hard work. To ensure that you’re getting the most from your vegetable plot, plant your garden at the correct time for your region. The USDA has a plant hardiness zone chart that will give you a good idea as to when to start planting. Keep in mind that a chart doesn’t know everything. If there’s ten inches of snow on the ground but the chart tells you its time to plant… well, just use your noggin. 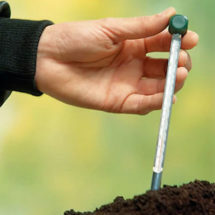 Consider using a soil thermometer too more precisely determine planting times. When the average soil temperature (over a five day period) reaches 40˚F, plant cool season crops like spinach, carrots and beets. Sow warm weather crops such as corn, asparagus and tomatoes at 50˚F, and wait until soil temperatures reach 60˚F. or more to plant “hot” weather crops such as squash, beans, peppers and melons. If you need more information on proper planting times give your local extension service a call. 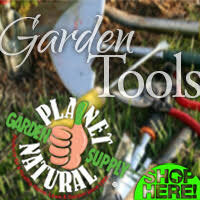 Using the right gardening products makes growing organically easier, more successful and enjoyable! 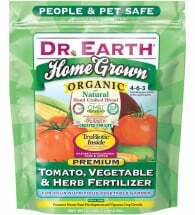 At Planet Natural we stock everything you need​ to make your organic gardens the envy of the neighborhood! Once you know it’s safe to start planting, begin preparing your soil. Remember, a few hours of planning and preparation will make all the difference. It’s quite easy to dig up a plot of land and throw some plants in the ground. It is another thing entirely to create a healthy organic garden. Begin digging only when soil moisture conditions are right, the ground needs to be moist enough to work easily, but not too soggy (see Planting Time and Soil Readiness). 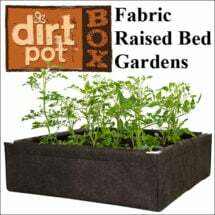 Prepare your beds by working the soil as deeply as possible without disturbing its natural structure. If you have it, work plenty of organic compost into the soil. Double digging is a great way to accomplish this. Finish the preparation of your garden by raking over it several times to rid it of large clumps, and discard any stones you happen to find. This will help get your plants off to a good start. Seeds will not grow well if they have to compete with clods of soil, bits of wood or rocks. Read the seed packet for directions on the depth and distance apart to plant seeds directly in the garden. 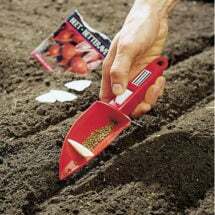 To plant small seeds, use your finger or the corner of a trowel to prepare a trench to the depth you desire. Take a few seeds and scatter them down the trench, it doesn’t have to be perfect. In most cases, seeds are sown closer than their final spacing because having too many seedlings is always better than having too few. You can always thin out the rows later. 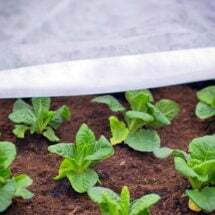 After sowing the seeds, spread a light layer of mulch or soil on top to protect them. This will also help the seeds germinate. Make sure that you thoroughly water right after planting. The difficult part of this is being careful not to compact the soil too much as you’re laying out the various rows and spaces. Of course, walkways become more apparent and easier to stick too the further along in the process you go. If you’re lucky and have a garden large enough to have permanent walkways of stone or pavers, wood chips or other mulches, you have an advantage. Tip: For small seeds, like carrots and some greens, that are going straight into the garden, mix them with a little sand before spreading. Adding sand will help make it easier to properly space plants. 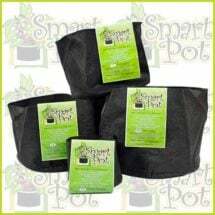 Nursery starts are a good choice if you have a hard time getting seeds to sprout or if you live in an area with a short growing season (see Selecting Nursery Plants). Before you plant, you’ll want to determine the correct spacing recommendations for your starts and dig holes accordingly. Works with any feeding program and increases plant biomass and yield by 300%. Increases plant biomass and yield by up to 300%. 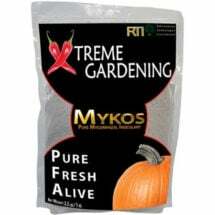 Xtreme Gardening® MYKOS (mycorrhizae) is a beneficial soil fungus that facilitates the breaking-down and transporting of nutrients to plant roots. Works with any feeding regimen and can NOT be over applied. Dig a hole that is as deep as the nursery container and about one and a half times as wide. Remove all rocks and un-decayed organic matter so the roots have plenty of room to grow. 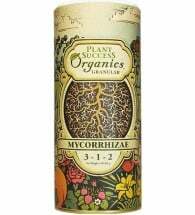 If you like, you can add mycorrhizal fungi (see Mighty Mycorrhizae), organic fertilizer, well-aged manure or compost to the hole, but mix it with some of the soil before you put the plant in. Next, remove the transplant from its container and examine the root ball. If several of the roots are circling around at the bottom, gently loosen them. Try to disturb the root ball as little as possible. Use both hands when placing the plant into the hole and make sure the plants’ base is even with the soil surface, neither protruding nor sunken into the ground. Gently fill and tamp with your hands. Transplants need water shortly after they have been planted. When you have finished, make sure to give your garden a gentle but thorough watering. If temperatures drop, you can protect your young plants by using row cover, greenhouse buckets or other season extenders to keep them warm at night. 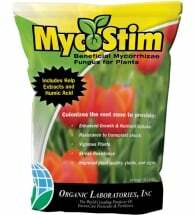 Mycorrhizae occur naturally in soil but are often depleted by cultivation, chemical use, compaction or topsoil erosion. Re-introducing them to soil or directly to your plant’s roots is easy. Transplants and newly sown seeds need to be kept constantly moist for the first few weeks. Water your new garden lightly every time the surface is dry or thoroughly twice a day in hot weather. (Visit the Texas AgriLife Extension Service for their excellent article on Efficient Use of Water in the Garden and Landscape). Seedlings should emerge from the ground in a week or two. If the weather is cool, it may take a bit longer. Transplants take a while to recover once they’ve been planted. You’ll know they’re doing fine when you see them start to grow again (usually in one to two weeks). Made of 55% recycled rubber! 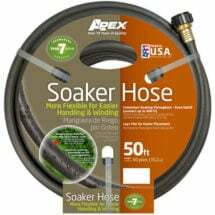 The Soil Soaker Hose offers deep, even watering throughout its entire length. Conserves water by minimizing runoff and evaporation and will deliver even greater water savings when covered with a moisture-retaining mulch. Once your garden is established, water in the early morning hours (avoiding overhead watering if possible) to give the plants time to dry out during the day (see Garden Watering Tips). 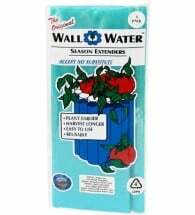 This will prevent many fungal disease problems and encourage deep roots, which will make your plants more hardy and less likely to suffer when deprived of water. If a plant starts to wilt, don’t assume that it is drooping because it needs water. Check the soil first. Plants can wilt for a variety of reasons. You may do more harm than good if you water first and ask questions later. Includes a handy guide that lists the temperature ranges for over 25 types of plants. An innovative, inexpensive, and practically foolproof way to grow potted plants.